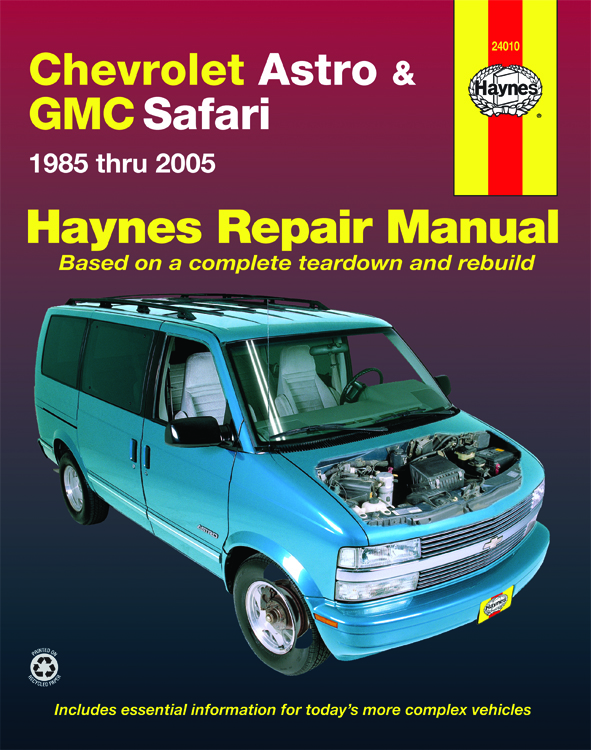 Written from hands-on experience gained from the complete strip-down and rebuild of a GMC Safari, Haynes can help you understand, care for and repair your GMC Safari. We do it ourselves to help you do-it-yourself, and whatever your mechanical ability, the practical step-by-step explanations, linked to over 900 photos, will help you get the job done right. Regular servicing and maintenance of your GMC Safari can help maintain its resale value, save you money, and make it safer to drive. PLEASE NOTE that this manual is intended for vehicles built to US specifications and does not cover diesel models unless specifically stated. Although it is useful when the products or systems are similar to those in other markets, there may still be significant differences, especially in areas concerned with safety and emission control. The GMC Safari was introduced in 1985 as a larger alternative to family minivans of the day. It had an identical sister car, called the Chevrolet Astro. Under the hood the Safari had a choice of either a 2.5-liter four-cylinder engine, or a 4.3-liter V6 with either 165hp or 200hp. Changes were limited throughout the first few years until 1990, when four-wheel drive became available. Thereafter, a new dashboard was installed, and a new door-opening system. The second-generation GMC Safari was launched in 1995 with a longer now and a passenger airbag. The Safari was discontinued in 2005. Haynes has an extensive range of GMC repair manuals and online maintenance procedures to suit professional mechanics and DIY car enthusiasts. Our GMC Safari repair manual will be able to help whether you're servicing or repairing your car.